If you need to get your Christmas Parcels on their way or are sending off parcels from your sales on ebay, our convenient Post Office hours help you to get it all done at a time that suits you, including all day Saturday & Sunday mornings. 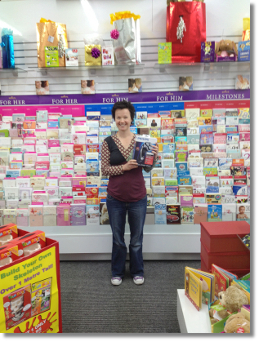 Winner of the Hallmark Father’s Day Competition is Clair Stanley, picture right with her prize. Clair entered the draw when purchasing a Hallmark Father’s Day card and now has an extra bonus for Dad, winning the Philips Powertouch Shaver valued at $299. 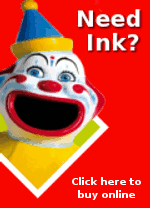 On the website you are able to pay your customer account by credit card or internet banking any time of the day or night. Planning a weekend away? It's easy to arrange to stop/start your newspaper delivery online at www.pattersonroad.com.au, just remember to give us at least 24 hours notice. Many customers are now choosing to communicate with us online, whatever your query you'll find our e-mail address and other contact information available to you online. Select a gift card from our range for a variety of leading retail brands. Gift cards are ideal for end of year staff rewards, to say thanks to a friend or as a Christmas present. 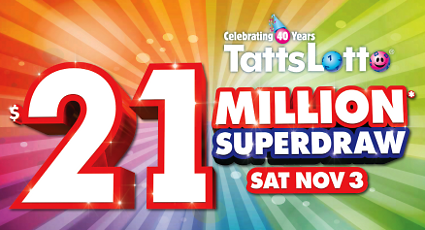 Superdraw syndicates and advanced entries are now available for the $21 Million TattsLotto Superdraw on Saturday 3rd November. Call in today and pick up your ticket to dream or contact us to reserve your syndicate shares. The Bentleigh Over 50's Travel Group is organising a 6-day trip to Port Stephens from 19th to 24th November, 2012. 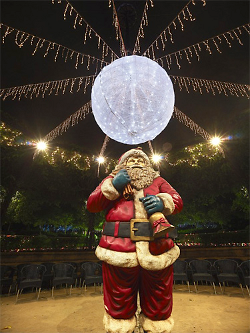 A special feature of the trip is a visit to the "Christmas Lights Spectacular" at the Hunter Valley Gardens. Anyone interested in participating is warmly invited to phone 9557 5739 for details.